is now visiting you all of who so need it. If not, here's sending some rain-vibes your way. wow seems like it's raining cats and dogs out there. Well Hope Mr. Sun does appear over there. 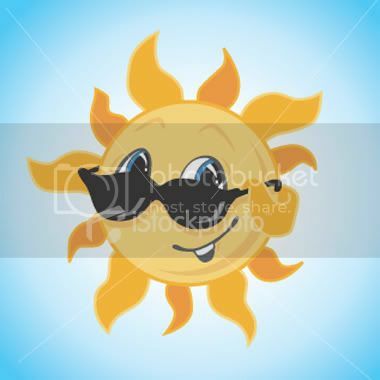 For me Mr. Sun is good but I wish it wasn't that hot hehehe. -WebbieStuffs-... your comment back will gain another comment from me..
Hmm Mommy J dito sa amin super init ni Mr Sun kung pwedi ko lang e share sayo matagal ko na ginawa lols..
anyway, happy weekend and stay safe! mwaaah! i don't know how to plant kamote. siguro nga you plant the kamote itself since it's a root crop. sorry kamote ako when it comes to kamote. good to know that the sun finally showed in your place! now we'll have a smiling mommy J! hahaha! i'm having a hrad time blog-hopping. i can't open some blogs, like ate lena's, twinks, shimumsy, etc. dunno why???? thanks for the visit! baka may topak lang ung ie ko. hope it will go back to normal tomorrow. hay naku, bored to death na ung isa dito! blog hopping occupied me yesterday; and i cleaned the house today, from top to bottom. while my little one watched a dvd marathon of barney! he haven't watched it for more than a year, bigla yatang na-excite ngayon! hahaha! so don sya busy. i'm planning to go out tomorrow, if the weather permits. mukang lumipat dito ung ulan jan. it just looks like it's gonna rain. Glad Mr. Sun finally showed up. Enjoy the sunny day then, Sis.